This practical guide is filled with case studies, examples, and a checklist to help you put the power of cognitive science to work for your business. Whether you’re giving a presentation, conducting a meeting, delivering training, making a sales pitch, or creating a marketing campaign, these field-tested techniques will help you develop content that speaks to people’s hearts, stays in their heads, and influences their decisions. 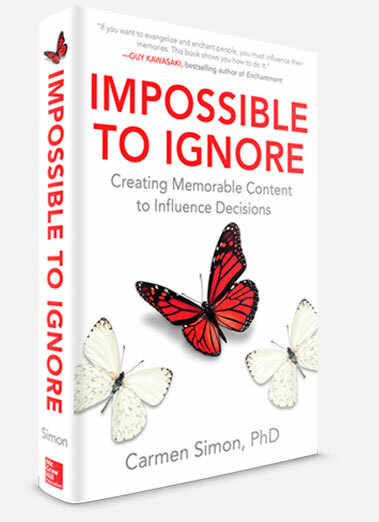 It’s not just memorable―it’s Impossible to Ignore.